The light aqua and taupe nursery color palette create a calming, spa-like space for both baby and mommy. 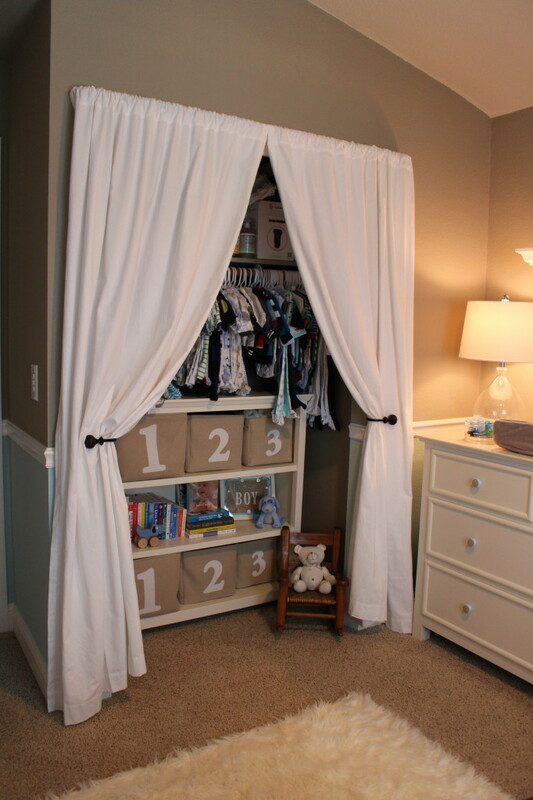 I can't wait to bond with my baby in this comfortable and soothing nursery. Blue is my favorite color and is used as an accent throughout the rest of our home. I wanted the nursery to "fit in", therefore choosing aqua blue and taupe was a no-brainer. I didn't want the nursery to have a specific theme (nautical, safari, etc), so I focused on colors/patterns I love, adding a few "dog" accents to make it feel more like a baby boy's room. The glider! I followed my friend's advice and chose a very comfortable glider with an ottoman. She reminded me that MANY hours will be spent in this room, so make it comfortable! I also love the personal touches, like the framed maternity photos and the little rocker from my grandmother. Keep the room simple. After baby comes, there will be a ton of things like toys and baby items that might work against your nursery design. If you keep the room simple from the beginning, it'll look less cluttered later on. You did a wonderful job. I love your style! Shannon…this is GORGEOUS. You are so talented! You’re right…the muted colors work with all the other baby “stuff.”. I love Smokey’s dog house on the mobile! I love interior design so when we found out we were expecting... ideas for the nursery immediately flooded my mind! My baby's nursery was a very special project and I'm thrilled with the end result.